Sigmar Gabriel, German vice-chancellor and political heavyweight of the Social Democratic Party (SPD), is expected to run for chancellor, challenging his boss Angela Merkel in the upcoming election, according to senior party sources. “There's no way around Sigmar Gabriel as candidate for chancellor at this point,” one senior source from the SPD told Reuters on Friday. “The likelihood is very, very, very high that Gabriel will be the candidate for chancellor,” a second source and member of the SPD executive committee added. The sources stressed, however, that the final decision regarding Gabriel’s candidacy is expected to come after the end of January. The report follows recent developments inside SPD leadership related to the 2017 general election. In late December, it was revealed that Martin Schulz, the outspoken president of the European Parliament, will not compete for Germany’s top position, leaving Gabriel, who also acts as SPD head and energy minister, to vie for the chancellery. That Schulz withdrew his candidacy is a major blow for many SPD voters who were keen to support him instead of Gabriel, whose personality is often linked to the party's ratings. The Social Democrats have been polling at just over 20 percent, far behind the center-right Christian Democratic Union (CDU) headed by Chancellor Merkel, according to Infratest Dimap. According to a recent survey cited by Deutsche Welle, only 43 percent of Germans approve of Gabriel’s work, in comparison to Schulz’s 57 percent. But Schulz was, according to Spiegel, reluctant to run against his close friend Gabriel. 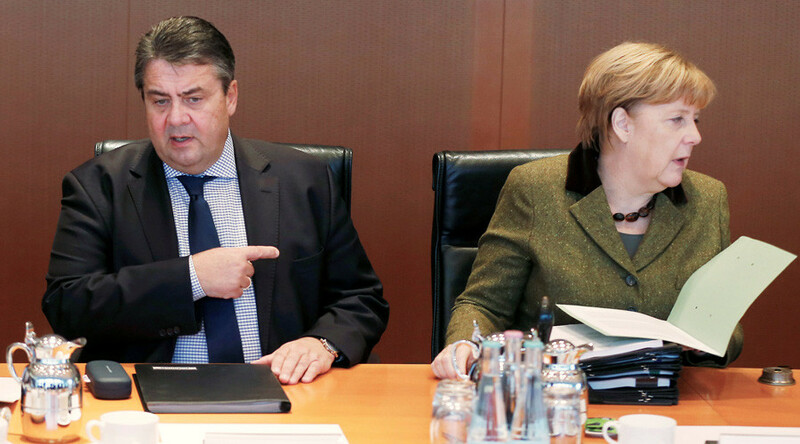 Analysts believe Gabriel will be no easy opponent for Merkel. He has consistently criticized the Chancellor’s approach towards the refugee crisis and the controversial Transatlantic Trade and Investment Partnership (TTIP) between the EU and the US. — RT (@RT_com) 28 августа 2016 г. Earlier, however, he insisted the successful integration of migrants into German society only adds to the country’s diversity, sparking a barrage of criticism from the right-wing community. Gabriel, the longest serving SPD leader since former Chancellor Willy Brandt, is believed to be a protege of Merkel’s predecessor Gerhard Schroeder. He became SPD chairman in November 2009. In the summer last year, while visiting the Auschwitz concentration camp, he told journalists that his father was a staunch Nazi and a Holocaust denier, a fact which inspired him to become a Social Democrat.